Irregular verbs are probably the most important verbs in English. There are quite a lot of them and they are very common. However, for many ESL and EFL students they are very difficult to learn. 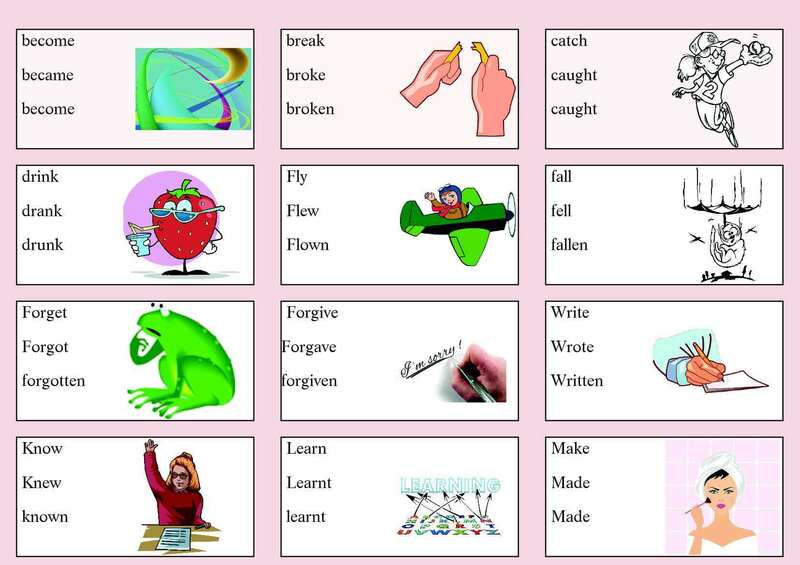 I have already prepared many activities to teach the irregular verbs to my students. There are irregular verbs from the rap song by Fluency MC, there are several stories to learn the verbs in context and there are many infographics to make the learning a bit easier. 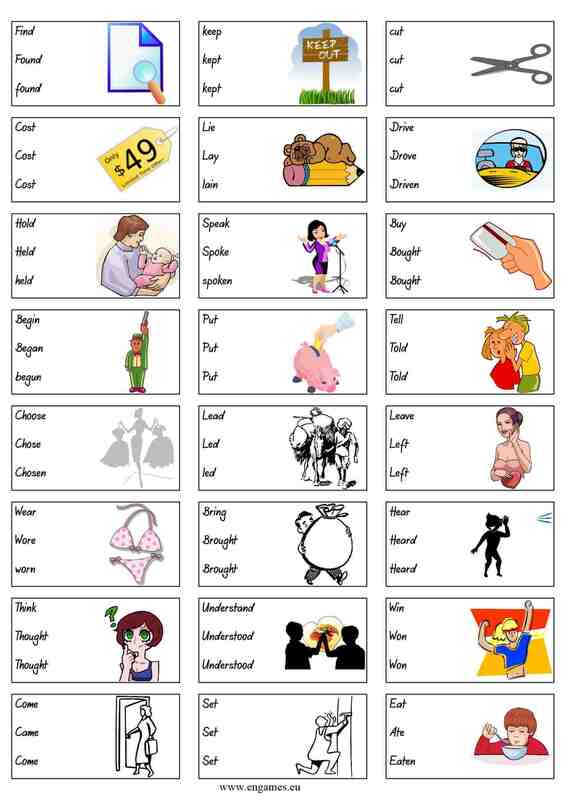 Having tried all of these, I have to say that the most effective way of teaching irregular verbs in English is the SNOWBALL method. This method does not promise to teach you 100 verbs in 10 minutes. You have to study the verbs for 10 days in a row to learn these, but then I can guarantee that you will remember more than 90% of these verbs. So why don´t you try it for yourself? Snowball method – How does it work? The Snowball method is quite simple. You have to work for 10 days in a row. On the first day, the computer teaches you 12 verbs. On the second day, the computer gives you the 12 verbs from the previous day and it adds 12 new verbs. It goes on like this till the day six. 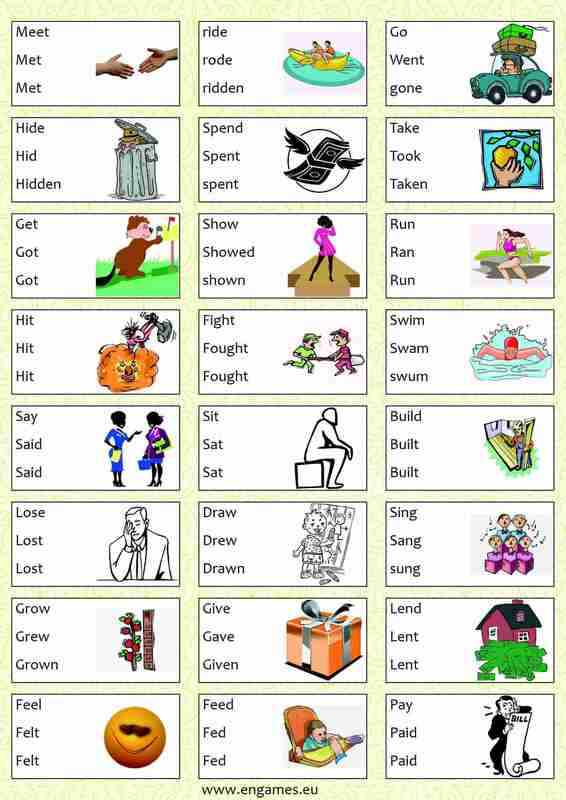 Each day there are 12 new verbs and all the verbs from the previous days are repeated. On day 7, no new verbs are added and the 12 verbs from day 1 vanish. In this way, on days 7 to 10, no new verbs are added, and the oldest verbs are deleted. Thus, each verb is repeated at least 6 times. Moreover, if you make a mistake, the verb is repeated again until you get it right or until you make 3 mistakes. Once you have gone through the verbs, do the Snowball 1. Your task is to write the infinitive and the past tense of the verb in the picture. Please, use a comma and a space after the infinitive (e.g. draw, drew). Do Snowball 2 the next day. Then do Snowballs 3-10 one each day.